Anytime is a great time to throw a tea party! It’s a warm and cozy way to bring your gal pals and family together for an afternoon of scrumptious treats, delicious tea and an excuse to dress up in some of your most flirtatious and feminine of dresses. But a big part of throwing the most perfectly charming tea party is all in the planning. Aside from the actual flavors of the edibles, the presentation and decoration of the day is key to a memorable experience. 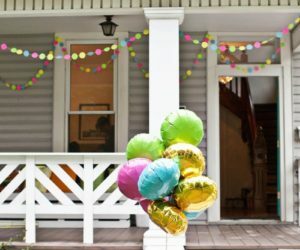 And that’s why we’ve compiled 40, fabulous tea party decorations that will not only jumpstart your planning but you can DIY or recreate right at home before the fun day arrives. Let’s have a look, shall we? 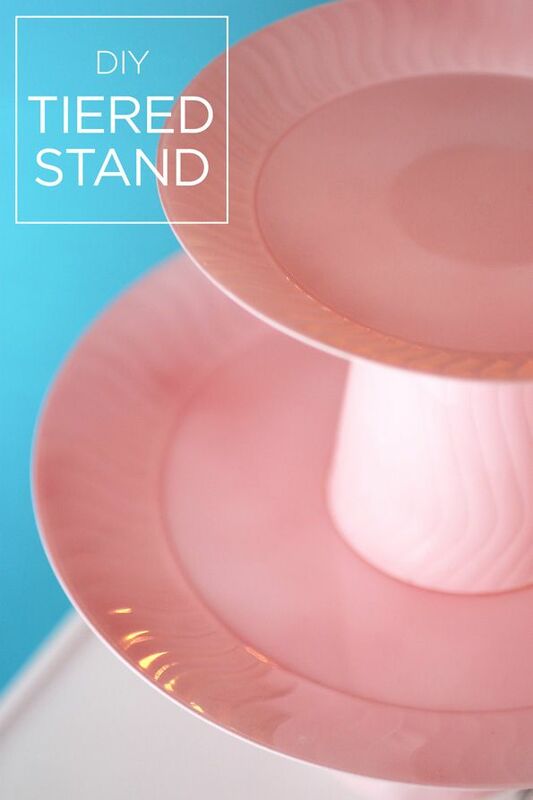 Camille Styles shows us how to make three different dessert stands with vintage flair that, in our opinion, would fit quite nicely adorning the table at your next tea party. Fill with sweets, fruits and other delectable treats, they’re a great addition to the tables cape in bothfunction and fashion. 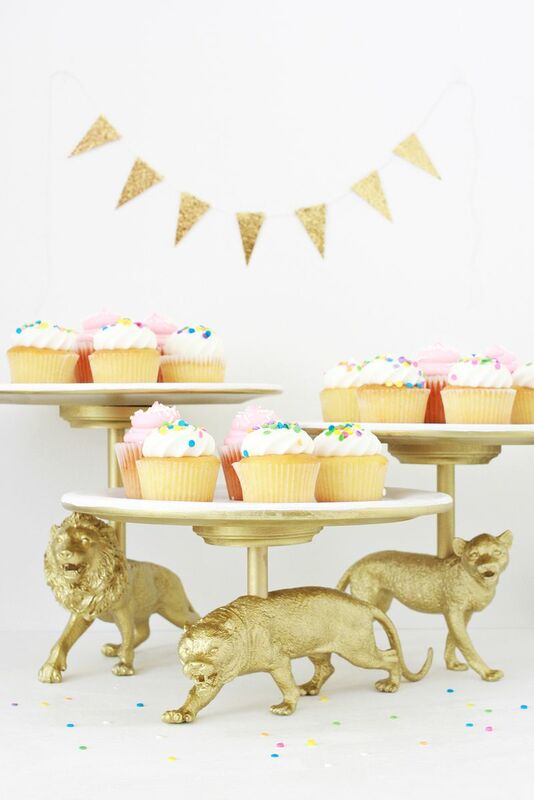 If you want to serve up cakes, cookies and other sweet tidbits, you may need to create a tiered dessert stand. Of course you can find these in the store, but if you want something a bit more charming you may need to check out this polka-dot design over at Flax and Twine. 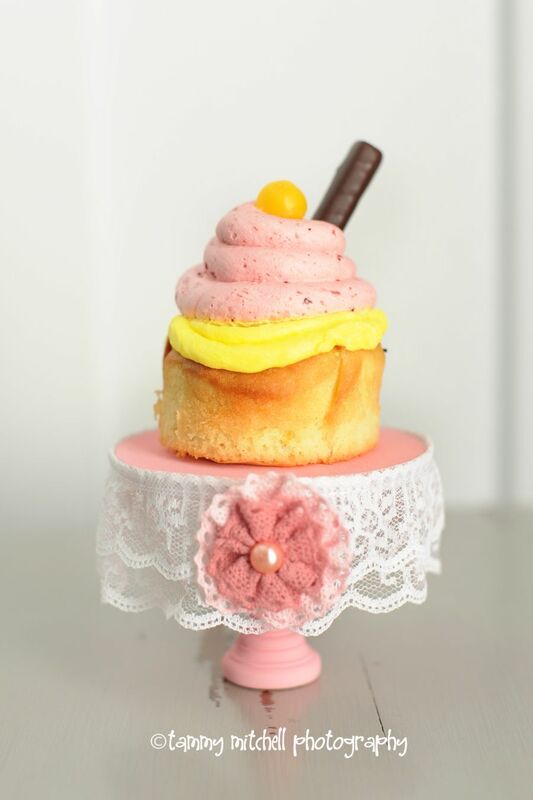 Infuse a bit of youth into the tea party’s decor with a pom-pom cake stand like this one from Factory Direct Craft. All you have to do is add the fluff to a stand you may already own. And remember, this is also a great way to serve up tea sandwiches – and not only cakes, cookies and cupcakes! A Beautiful Mess gives us a bit funkier way to present the edibles at your next tea party. Serve up all the food with these stands that act as decor or centerpieces too. With some plastic animals and metallic spray paint, you’ll have these ready in now time. 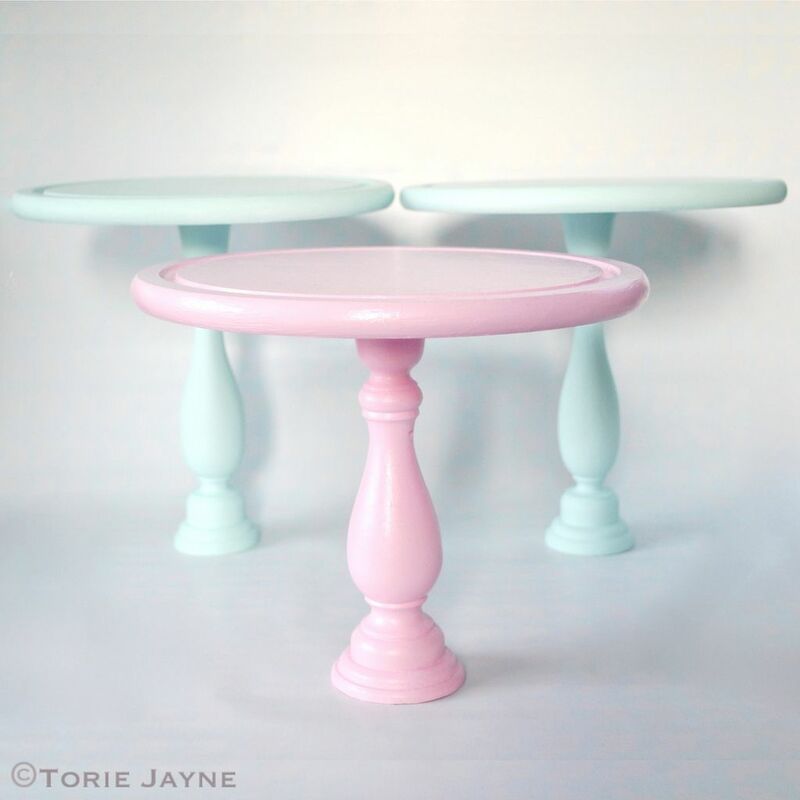 If you’re looking for something a bit simpler that will blend in with the day’s decor instead of standing out, then take a look at these beauties from Torie Jayne. 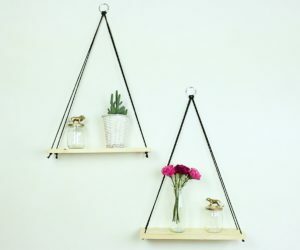 Made from the ground up, you’ll also be putting your DIY skills to the test, even though it’s a simplistic design. 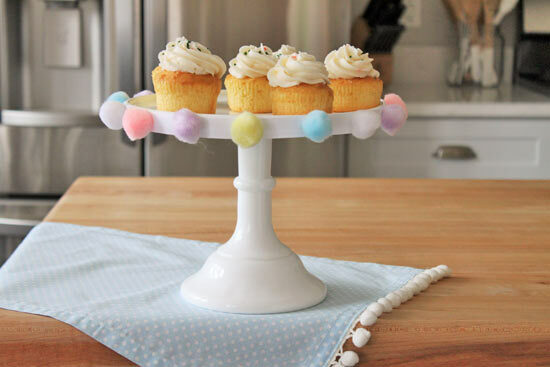 Personally, I find cupcake stands one of the most charming of party additions, especially when you can use them at each and every place setting. 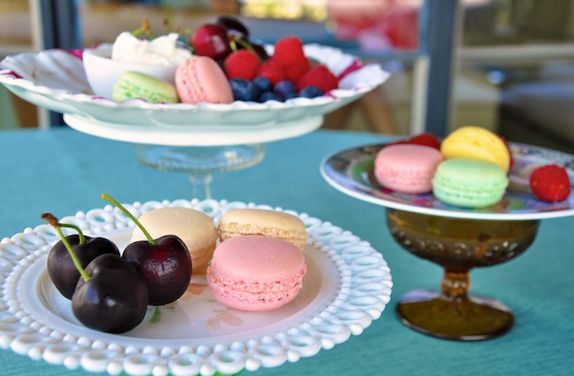 Tammy Mitchell Designs shows us how to create these tea party favorites and you can then spoil your girlfriends rotten by providing each and every one of them with a cupcake served in style. 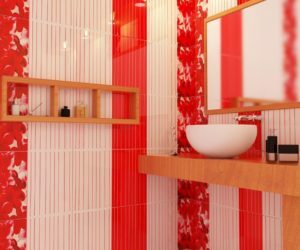 Here’s another tiered design that you can recreate at home in mere minutes. 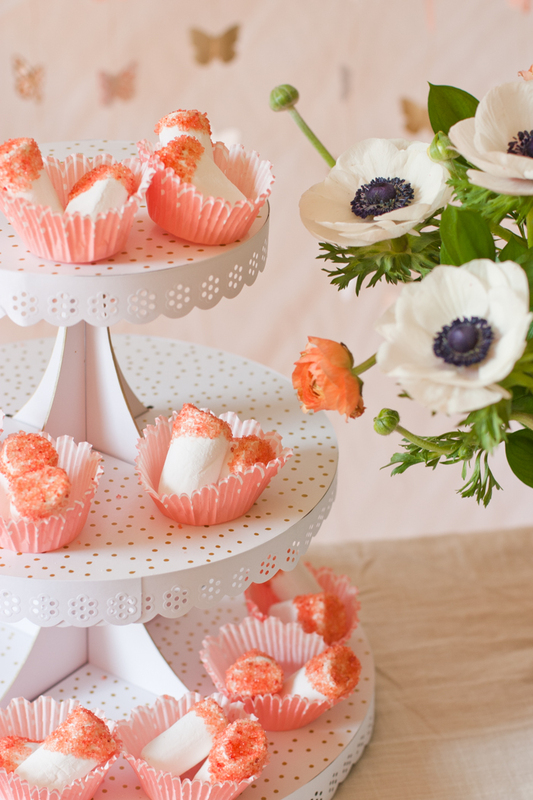 For those serving up smaller bites like cake truffles or petit fours, you may want to check out this DIY from Evite as the way to do it with a bit of extra feminine styling. 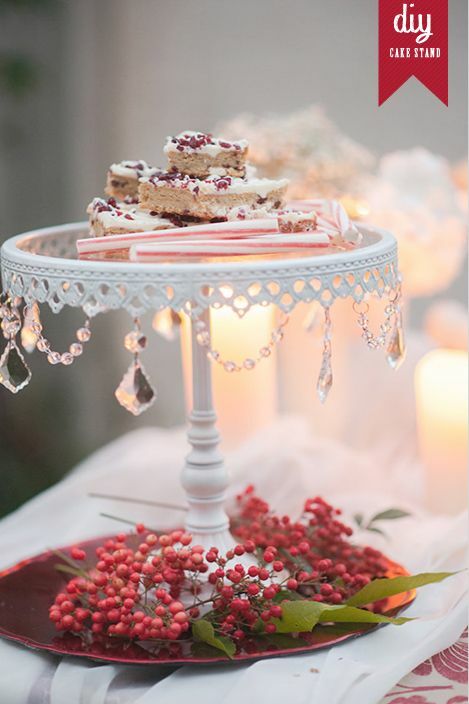 If you’re creating an afternoon full of tea party decorations with vintage, Victorian spirit, then you may want a dessert stand with that same flavor. 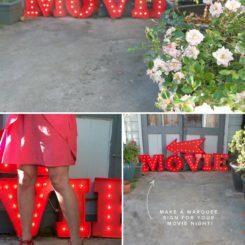 Check out this DIY from Wedding Chicks if you plan on creating something on your own that goes with that same theme. 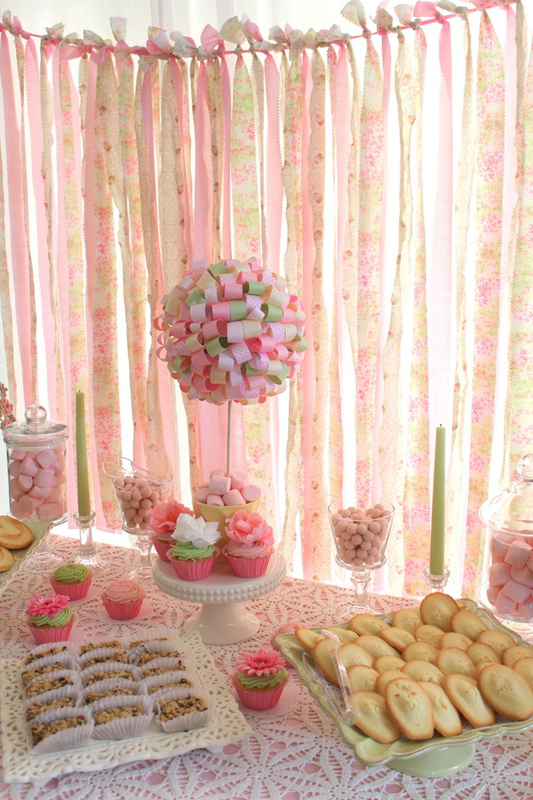 Kara’s Party Ideas shows us some wonderful ideas when planning a tea party. And that includes these gorgeous arrangements used as centerpieces. 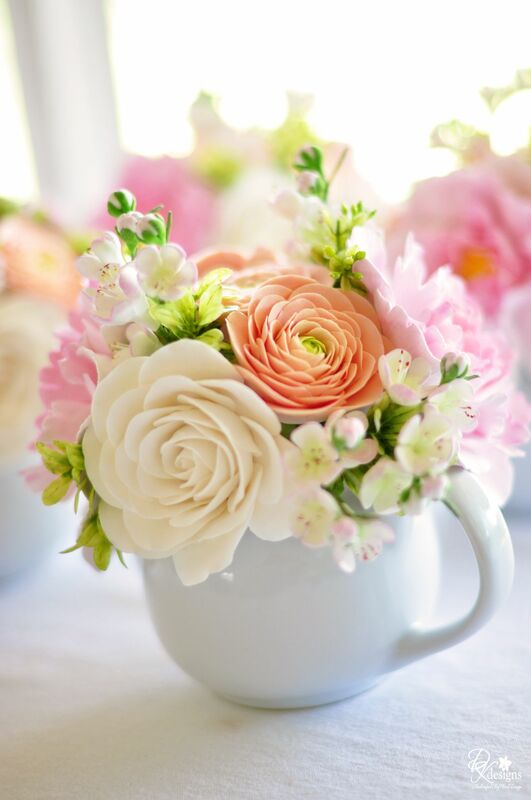 Whether it’s one big one at the center of a round table or several small versions for banquet styles, using pitchers and creamers as vases for lush florals (of the season) is a perfect tea party decoration idea! Sometimes the best ideas, when it comes to tea party or even celebratory showers, will come from weddings. 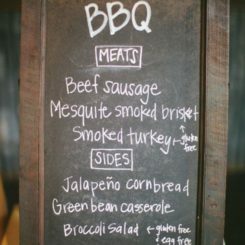 And this rustic wedding featured at Wedding Chicks has some of the best centerpiece ideas for a vintage-flavored affair. 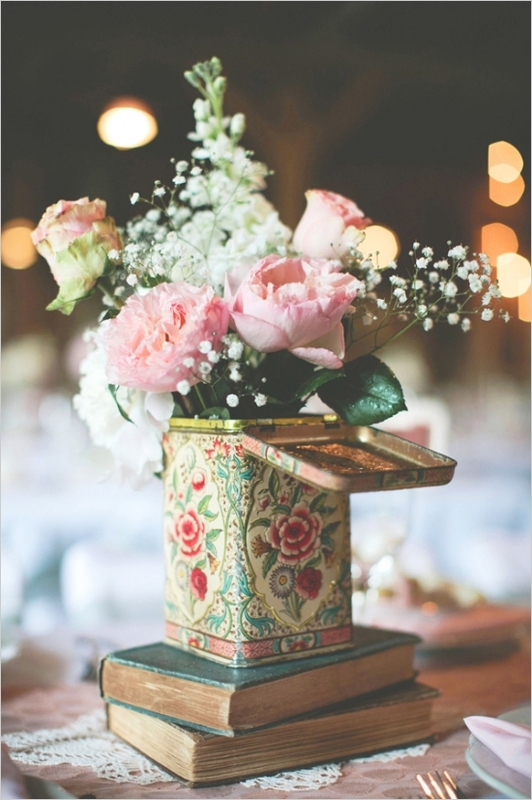 Gather antique tea tins and books for an easy centerpiece that still has a lot of personality and style. If you want to make several small centerpieces for a longer table holding more people than why not create some small designs like these floral teacups? 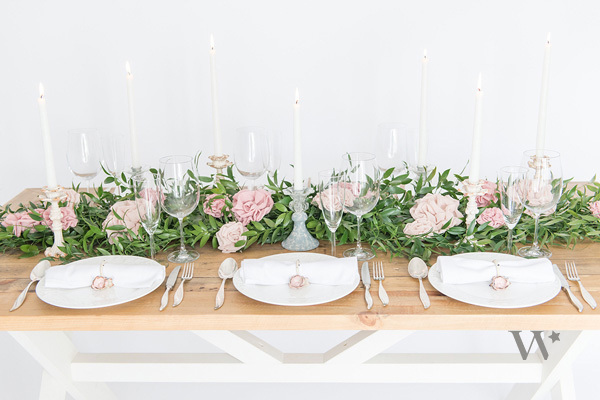 Check out the design at Flower Press and grab some inspiration from their arrangement. Pretty My Party gave us this simple and sweet idea. 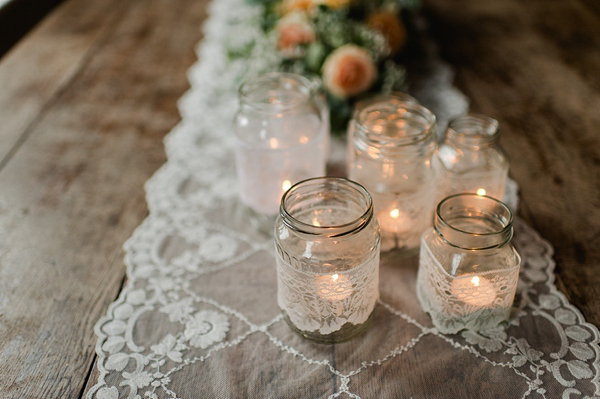 Lush florals, a mason jar and some lace accent, it doesn’t get much easier than this. But aside from that ease, it’s a great way to decorate all around your home when it comes time for your tea party guests to arrive. You could even color the water if you decide to use clear jars. Here’s another personal favorite of mine. Catch My Party featured this centerpiece and we find it to be a great piece of inspiration for those hosting a tea party outside or on a patio. 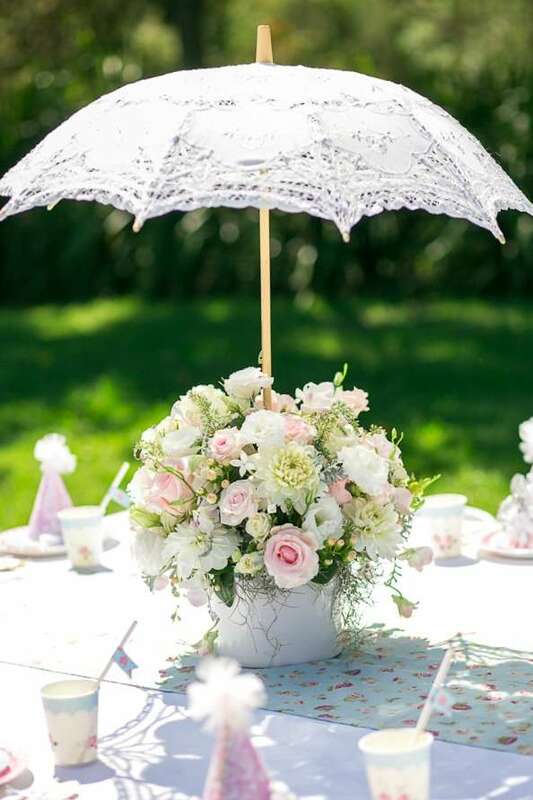 Shade the sun with a pretty parasol that will add life and style to the entire party’s decor and compliment it with some gorgeous, floral centerpieces. 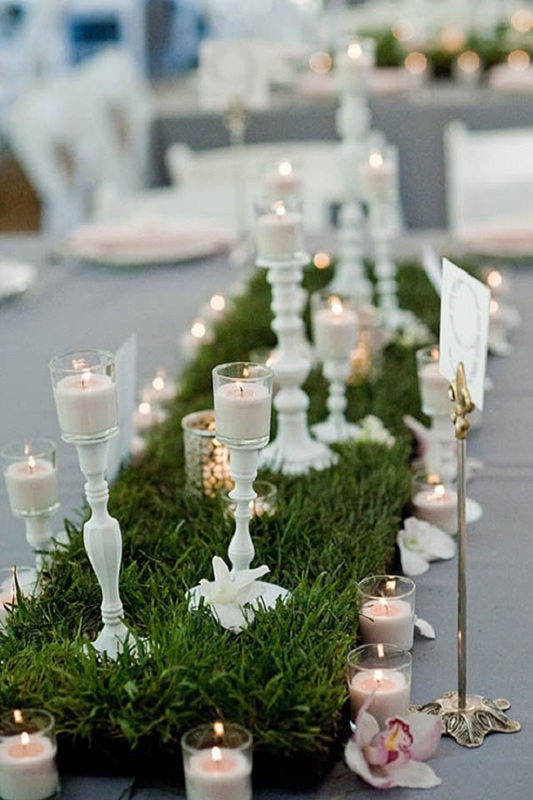 As we mentioned before, a great way to gather party inspiration is from weddings! 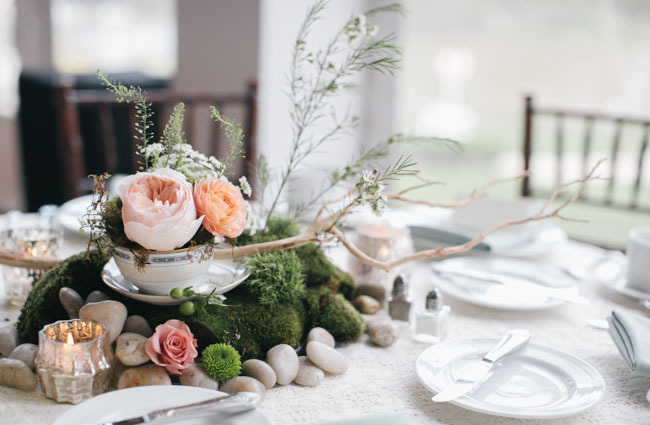 And over at Green Wedding Shoes you’ll find great idea concerning tea party decorations and the centerpieces you can try to replicate right at home. Just take this greenery-filled, layered beauty for example, it’s a great way to top out a Alice in Wonderland or whimsy-filled day! Even this pink lemonade party from Anders Ruff provides bouts of inspiration for your afternoon affair with the gals. 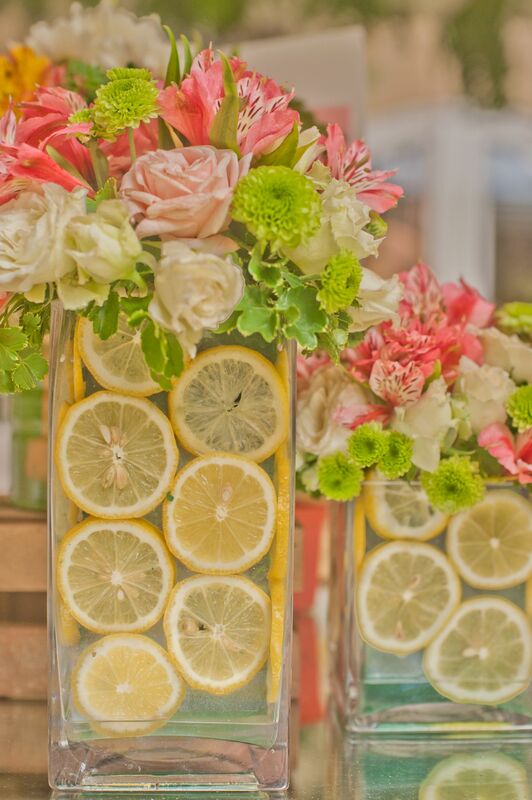 These lemon-filled centerpieces are easy to recreate and would be perfect for a party thrown during the summer months, to keep it seasonal and freshly fashionable too. 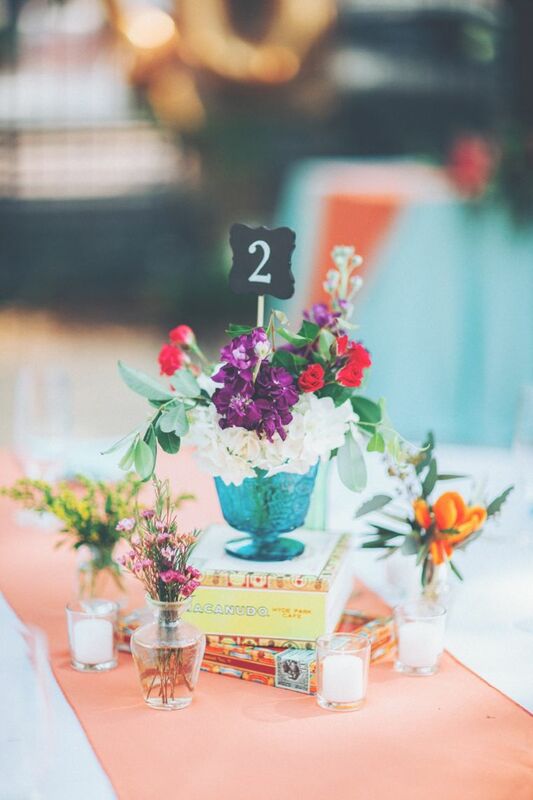 Every Last Detail showcases a wedding with vibrant colors and some tea party style too. We’re in love with this layered piece and find it quite DIY-worthy. 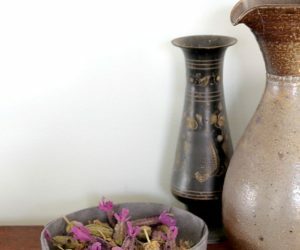 Layered books, clear, glass vases and wildflowers fill the space, this would be an inexpensive but creative way to spin the tea party decorations right at home. 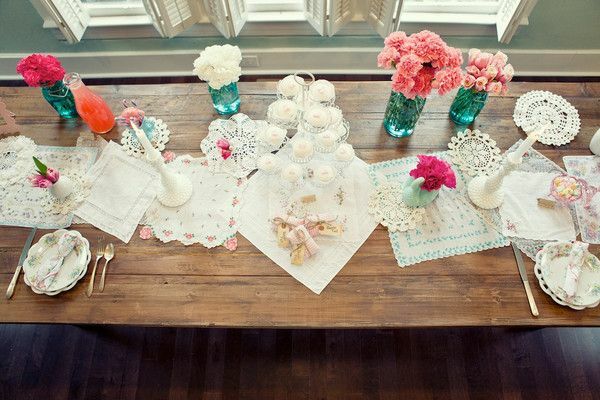 This doily table runner would be the perfect addition to your tea party decor. Created by tacking these beauties together (as to have them come apart with ease), check out the DIY over at Under the Sycamore and by the time your girlfriends and family come over for a sip of raspberry, iced tea, you’ll have a beautiful runner to offset the place settings with. 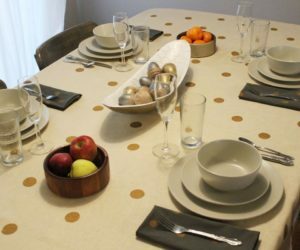 Live the Fancy Life shows us all how to make our very own striped, burlap table runner. 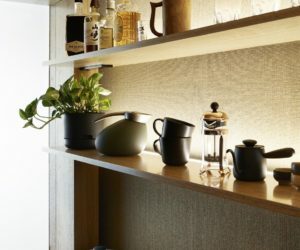 Add some metallics for an extra fancy affair and you’ll be able to use this piece of decor long as the teacups are washed. 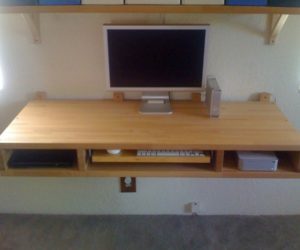 The best part is that this is a no sew option, so novice DIYers can whip this up in no time too! Personally, when it comes to tea parties, I’m all about the flowers. 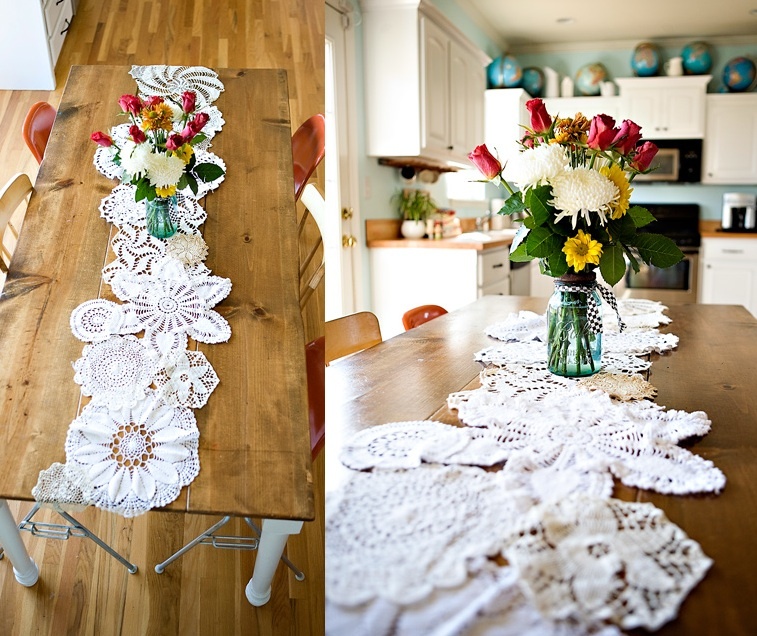 And this DIY table runner from Wedding Star incorporates that same, feminine spirit. 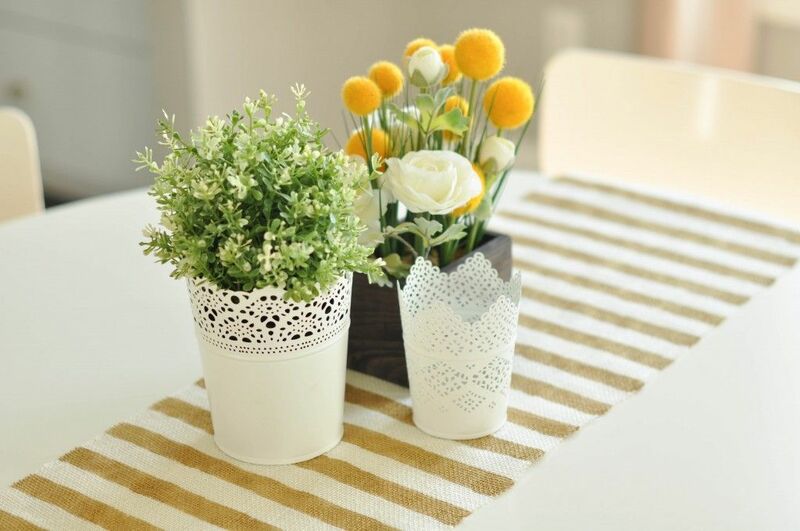 Check out the details on how you can also create something like this at home while adding bouts of flower-charm all around the table. 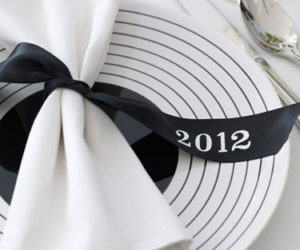 For something a bit more modern, add a chic, black and white runner to the party. It’s classic and timeless and you’ll be able to create a contemporary theme around the entire table. Of course, you can always make one yourself, like they did with this piece from Inspired by Charm. They even added a pop of royal blue to the mix as well. 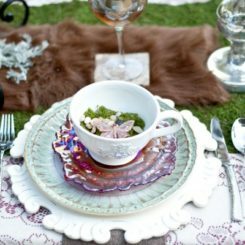 Add some fairies to the mix for a whimsical, themed tea party that no one could expect! 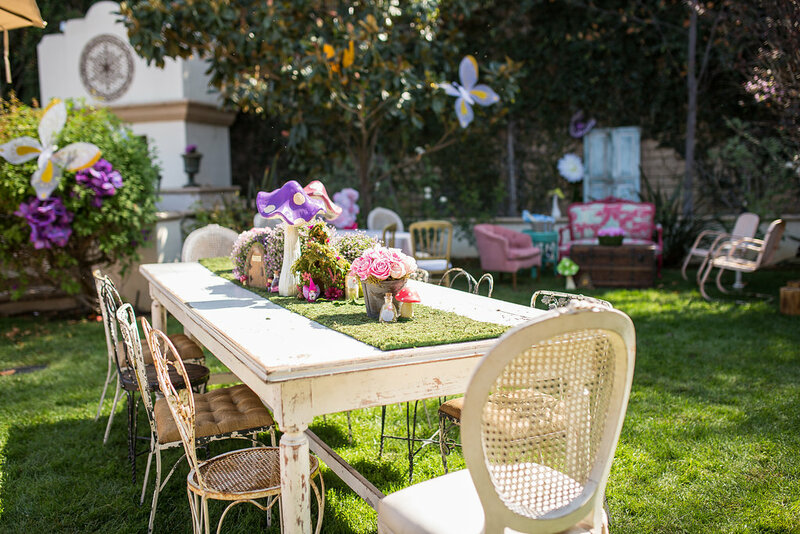 Just hop on over and visit Tori Spelling‘s website to catch a glimpse at the gorgeous affair she put together for her daughter. 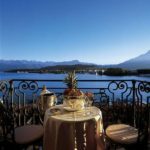 And the table runner was no less than a fairy-tale come true! 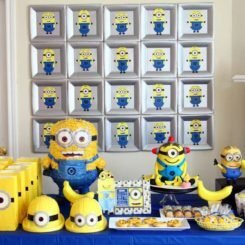 This idea would be great recreated into tea party decorations! Lace always works when it comes to tea parties. And this inspiration from Love My Dress – another wedding to look at for ideas – would be a lovely, classic addition to the day’s decor. 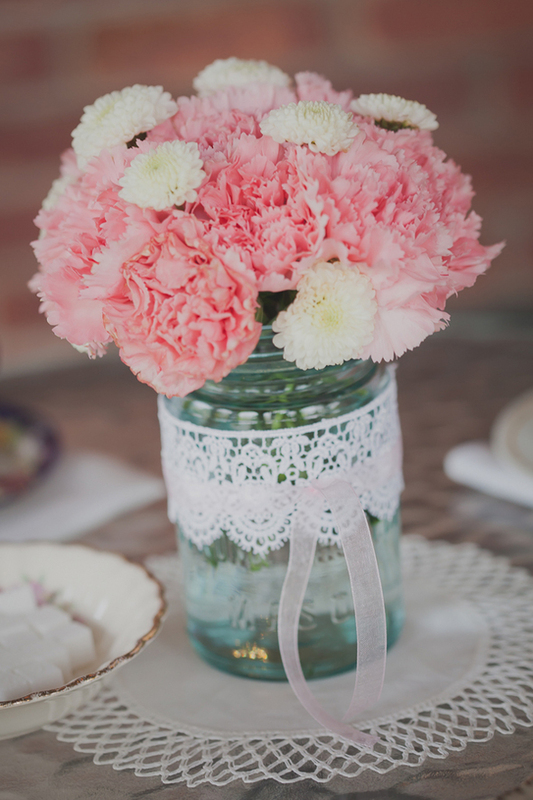 And all you need is a bit of lace to add some romance and vintage qualities to the tablescape. 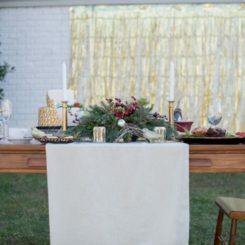 Piling doilies, vintage fabrics and even some cloth napkins could be a way to put a unique spin on your tea party decorating. 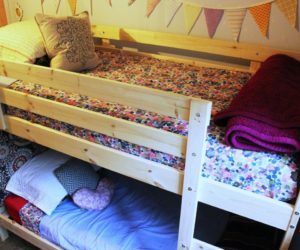 It adds that Victorian spirit, feminine charm but a DIY vibe as well – and we love it! 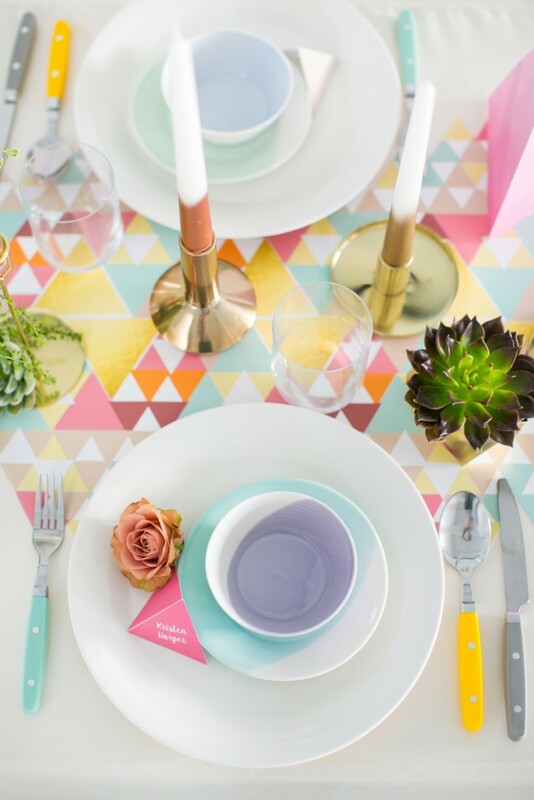 Pops of colors and creamy whites come together to make a pretty scene on the tables. Find this look at Rustic Wedding Chic. 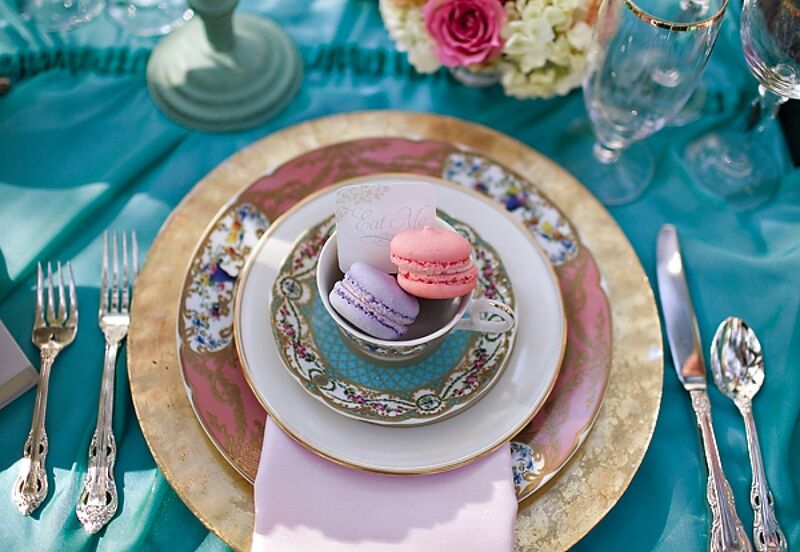 Want That Wedding compiled a great list of ideas concerning table decor, but this one in particular stuck out as a great way to add that youthful, Alice in Wonderland feel for a tea party – but with a bit more elegant and sophistication. 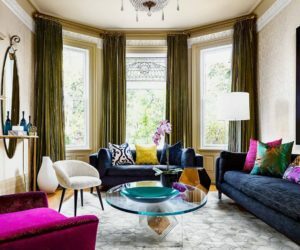 The green pops right off the white and it helps to breathe life into the space as well. 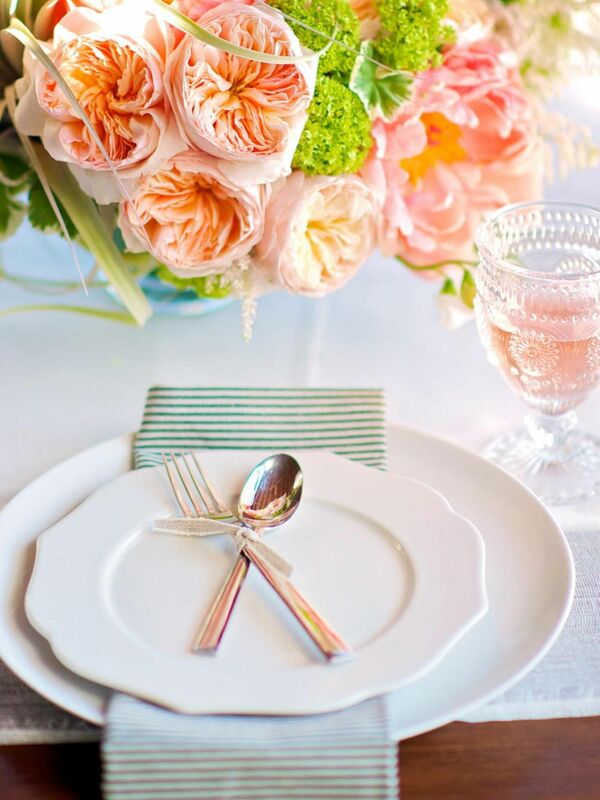 This simple and sweet place setting idea can easily be made with items you already have. 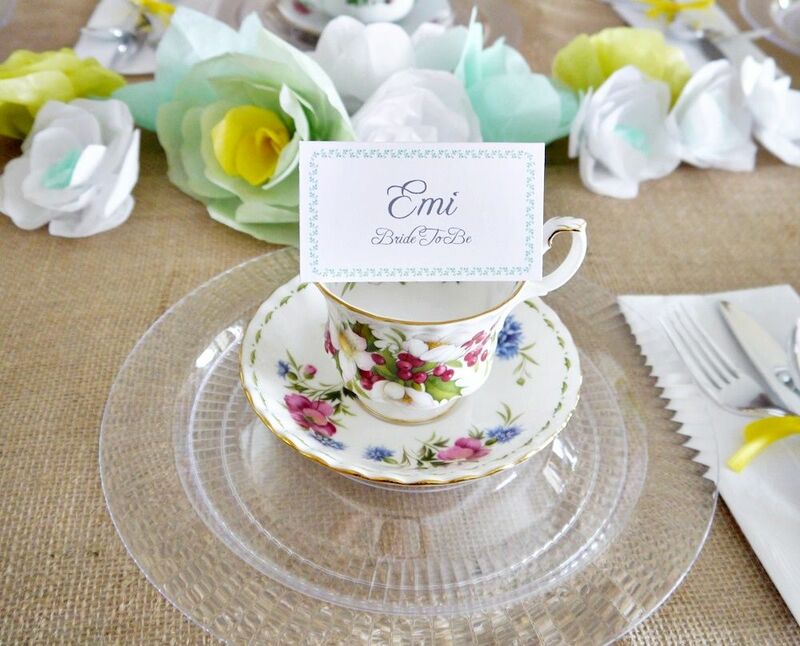 Whether it’s for an afternoon tea party or a shower you’re throwing with the same theme, some vintage teacups and saucers, glass plates and personalized place cards make this a beautiful spot for your guests to enjoy. 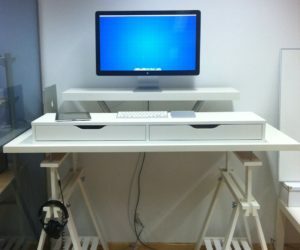 Check it out at Atiliay. Adding some flowers and a favor to the setting design is another way to make it unique. Of course, the added place card really takes things to the next level in terms of thoughtfulness and personalization. 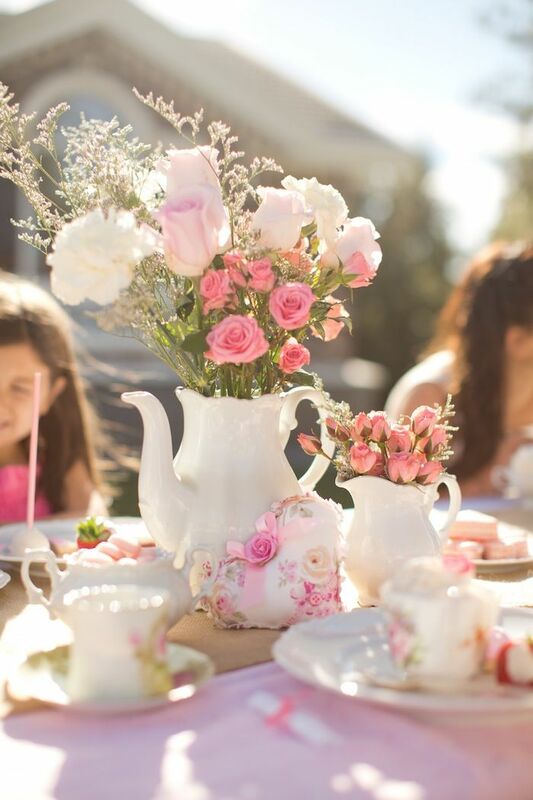 Hop on over to the Natural Wedding Company and grab even more inspiration from this tea party themed wedding and see if you can use the ideas for any of your decor needs! 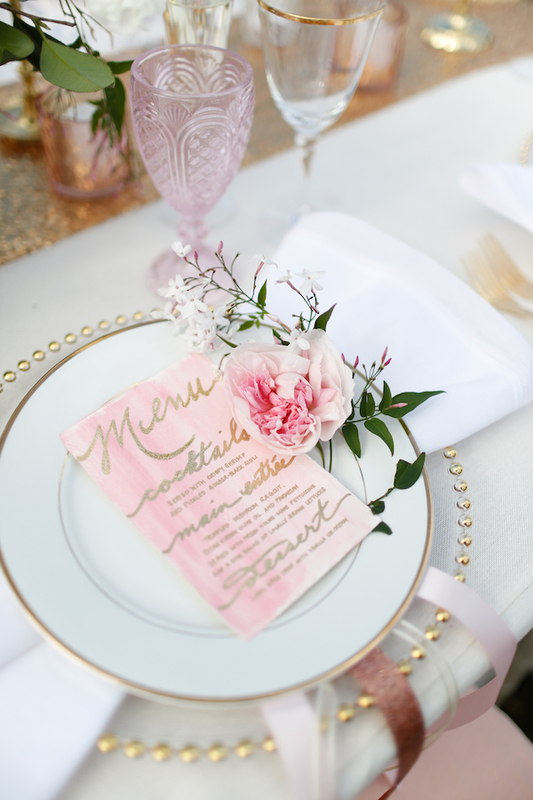 Over at The Perfect Palette you’ll find some gorgeous inspiration in the form of blush and gold sparkling settings. 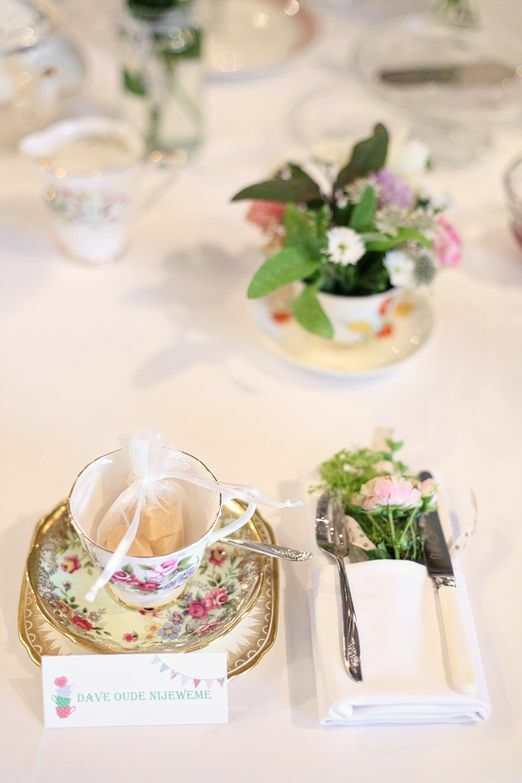 A printed menu and a fresh floral highlight simple plates and a charger as your guests wait for you to deliver their cup of tea. 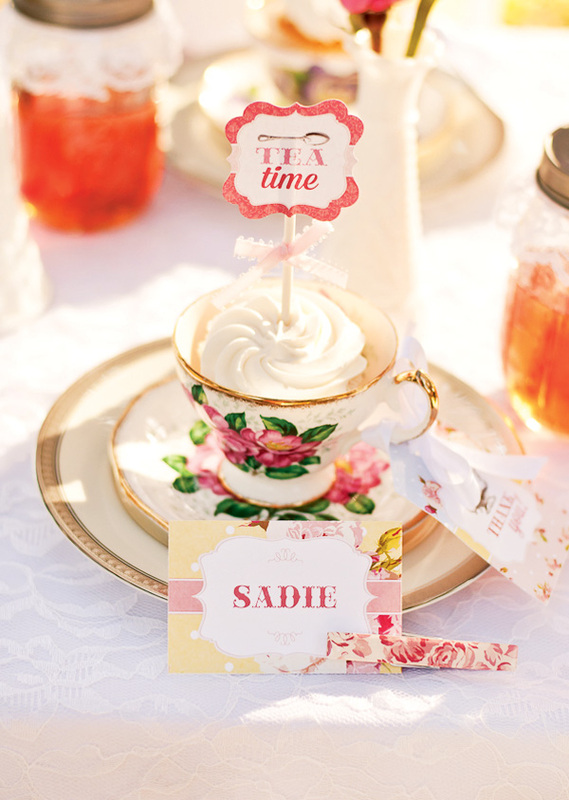 And then, if you visit Style Me Pretty, you’d find this stunning Alice in Wonderland themed tea party. Personally, I love the addition of the macaroons (or any other sweet treat) awaiting each and every guests at their spot at the table. Cupcakes, cookies, cake truffles and more can easily be a part of the place setting design. 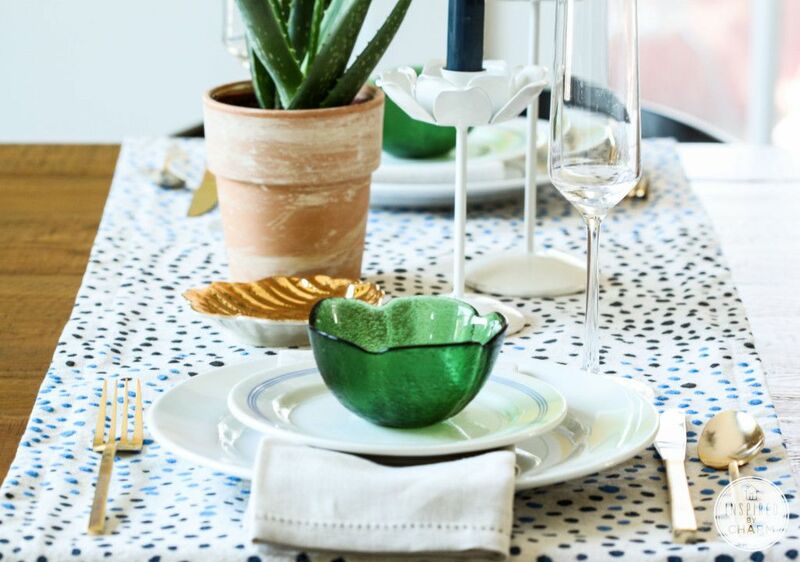 Over at HGTV you’ll find plenty of inspiration when it comes to party planning, but here we have a simple place setting that’s easy to replicate at home. The best part, beside its ease, is that even through that simplicity, you get something that’s fit for a tea party. 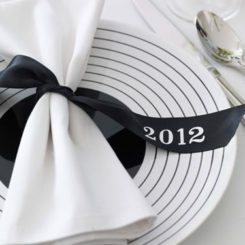 Beautiful white plates , utensils tied with a ribbon and a cloth napkin with a printed pop – it’s perfection! 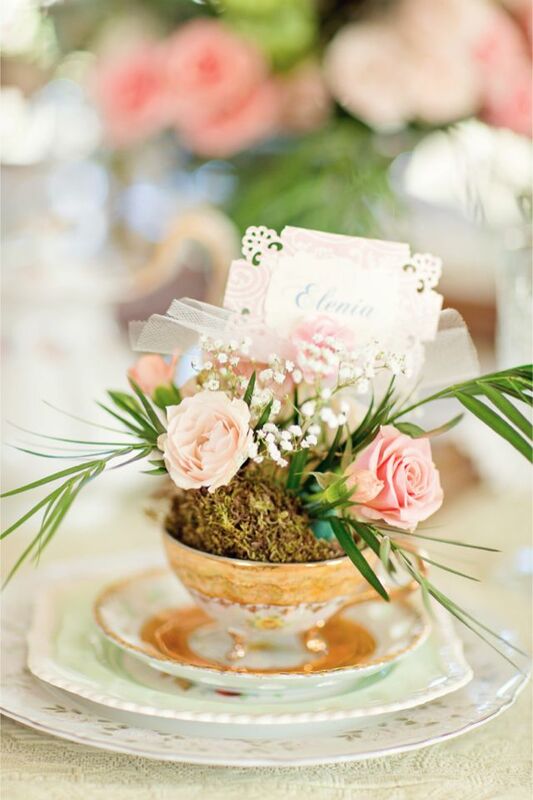 Burnett’s Boards shows off a show-stopping tea party bridal shower and this is the place setting that was used! You can make a play off this idea by giving floral teacup planters to each of your guests and using them in the setting design. They’ll love the thoughtfulness, especially in the springtime when the flowers are in bloom! Here’s a more contemporary and trendy way of decorating your tea party. 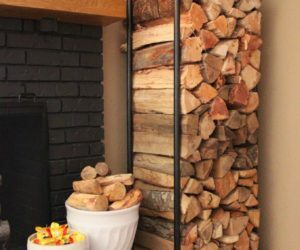 Use decorations that are more modern and less expected. 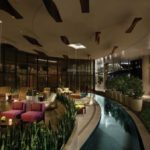 Create an event with a unique theme and ethos, just like they did here with this tribal setting from B. Loved! Here’s a gorgeous example of how to serve up those cupcakes right inside some precious teacups. This idea is perfect if you’re throwing a tea party for some little gals around the neighborhood too as it has a much more fun and festive feel about it. Check out the full spread over at Hostess with the Mostess. 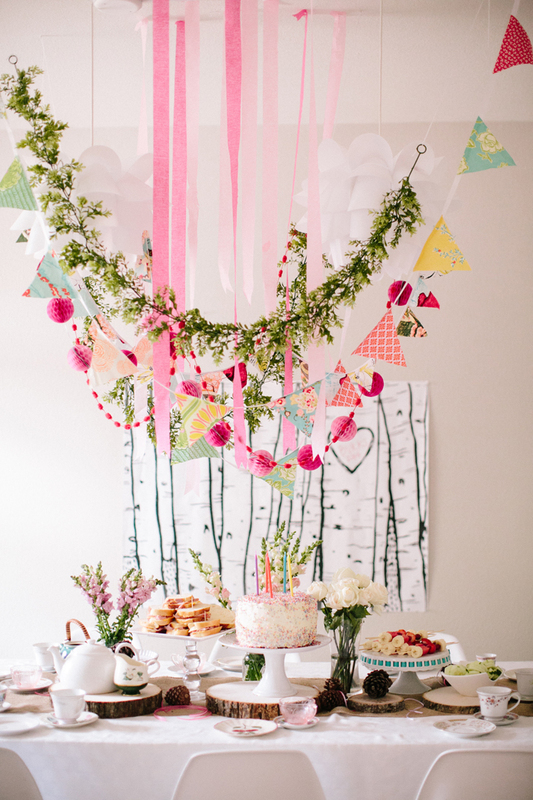 This woodland-inspired tea party from The Alison Show features some beautiful decor. 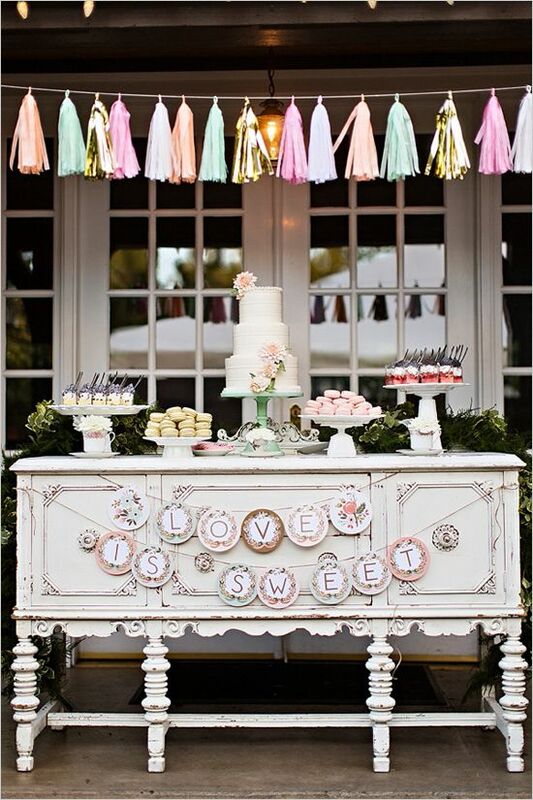 Our favorite has to be the textural garland that highlights the dessert table. 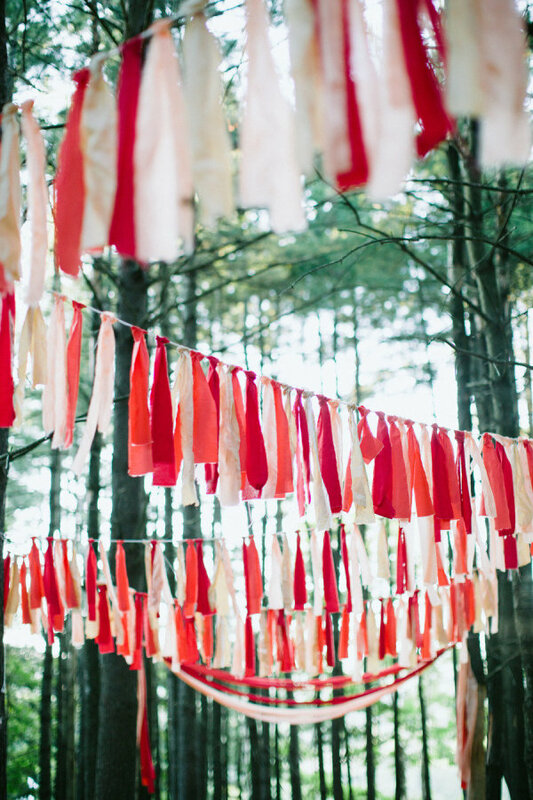 Mini paper lanterns, colorful printed bunting and the greenery too all fall into the whimsy category. 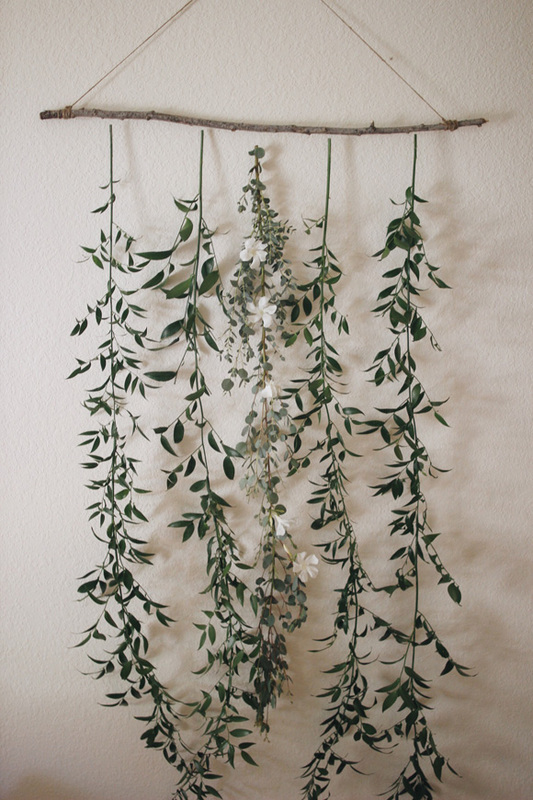 All of these garlands can also be store bought or DIYed yourself! 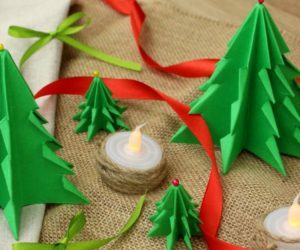 Check out this tutorial over at Free People to learn how to create this beautiful, greenery backdrop for your tea party adventure. 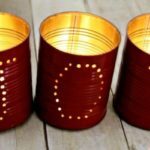 Of course this idea was used for wedding purposes, that doesn’t mean you can’t utilize the same project – just a smaller version – for your at-home events. Sometimes all you need is a bit of fringe! 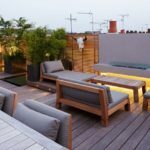 Outdoors or inside, these simple pieces work for so many different events. Wedding Chicks showcases a wedding with some tea party style and these easy decor ideas will be perfect to recreate at home. 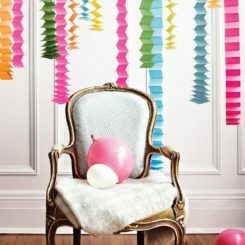 Michelle’s Party Plan-It featured a party with some ribbon garland that served as a gorgeous background for the food table. 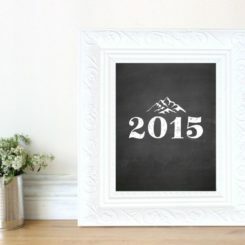 I know, personally, that this is a great decoration to DIY at home and personalize to your liking. 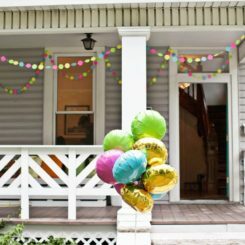 It’s a lot easier than it looks and holds up far better than inexpensive party supplies bought in the stores. And over at Style Me Pretty you’ll find similar garland pieces made from fabric bits. 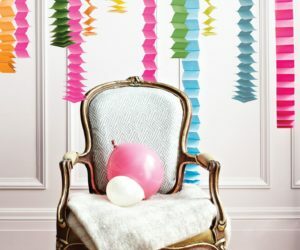 Whether you envision a tea party full of color for your little girl’s birthday or something more neutral and sophisticated for an soiree with your gal pals, this fabric garland or banner can be used to decorate the entire event. Rustic tea parties could be more up your alley. 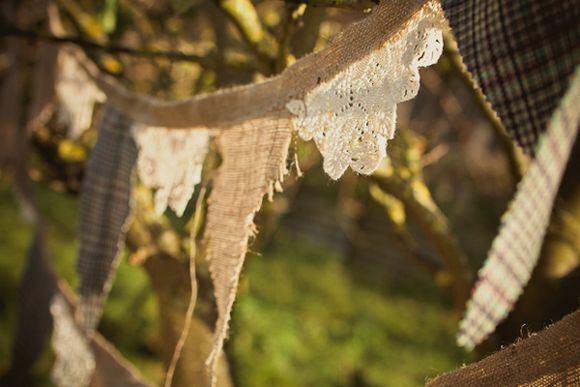 And if you’re planning one with a country vibe then maybe you’ll want to try making some burlap and doily bunting from scratch. You can check out an easy tutorial over at Love My Dress! This is a personal favorite of mine, I love the mixing and matching of prints and patterns! 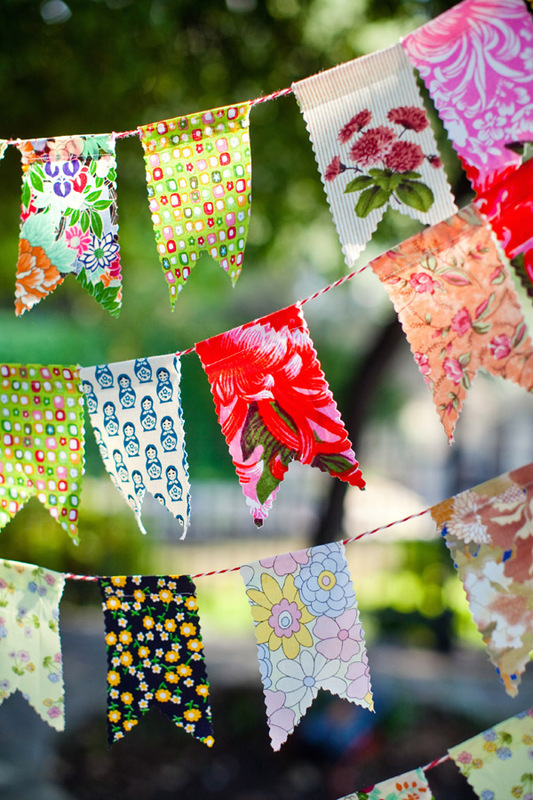 Gather all your fabric scraps and then use them in creating some eclectic banner for your whimsical tea party. Again, this idea was found in a wedding style featured on Ruffled Blog that we fell head over heels with. Although this example is merely a photo of supplies used to create a beautiful bouquet, we couldn’t help but feature the idea as tea party decor! 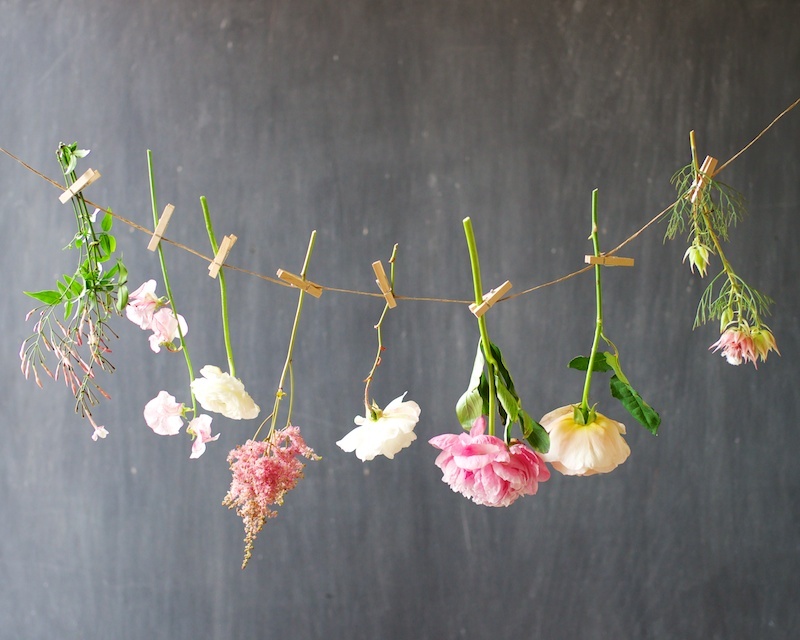 Grab some of your favorite florals and have them with clothespins and wire! 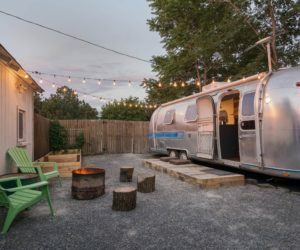 It’s simple, it’s easy and it’ll still be as whimsy as ever. 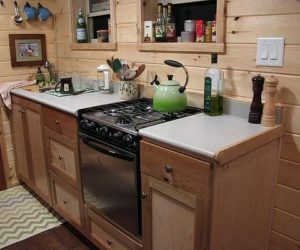 Thanks to Inside & Out for the inspiration!